Since the decision of the British people to leave the EU in the referendum last year, there has been plenty of talk about how the consequent fluctuations in currency rates have afforded UK exporters a great opportunity to become more price competitive. A weaker pound makes UK goods and services more affordable for trading partners whose currency has strengthened relative to the pound, i.e. Europe, the US and most of our major trading partners. As such, UK exporters may try to exploit this opportunity by increasing the amount they export and by thinking strategically about how to best price their offering in the new trading climate. Yet, a flailing currency can also have significant impacts on manufacturing costs and your supply chain. This alongside new costs in trade potentially bought about by leaving the single customs union could make the costs and rewards of exporting more complicated than they initially seem. Here we consider 5 major factors companies will need to consider when it comes to pricing their export goods and services before, during, and after the UK’s negotiations to leave the EU. As mentioned before, a weaker pound makes UK goods more attractive to international buyers. As such, if you were selling a kilo of craft ale to a distributor in the Netherlands a year ago, it would have cost more to that distributor at that time than it does now, because the euro was at that stage weaker in relation to the pound. Crucially, though, your income in pounds from the sell is still, to a large extent, broadly similar to what it was a year ago. An increased demand in UK produce has already seen the value of the UK’s exports increase. Most recently the Food and Drink Federation recorded an all-time high for exports in their sector, for instance. This change in the trading climate creates opportunities to alter your pricing strategies to maximise potential earnings. You may do this by charging the same price as now while receiving more orders, by decreasing price slightly to make the most of the greater attractiveness of your prices, or by raising your price knowing that buyers will be better able to afford it. The flipside is that a weaker currency gives UK buyers less value for their buck. Importing goods has become more expensive for UK businesses because, in relation to the pound, the euro and dollar is now stronger. Reversing the Netherlands situation so that it’s a UK distributor buying a Dutch kilo of craft beer now and a year ago, that kilo is now more expensive for the UK buyer. This will therefore affect any UK manufacturer who is creating their goods using any imported parts. For the UK craft ale seller, this might be brewing equipment imported from Germany or packaging from China. As the cost of manufacturing for your product goes up, the profit you’ll receive from your more competitive pricing could decrease. This will again bring in a number of strategic questions – do you raise prices to account for rising unit costs but risk becoming less attractive to buyers again? Or do you risk selling at a lower margin but perhaps consider upping your output to make the most of the competitive pricing? Another significant new hit on the price of exporting may be that of new tariffs and duties you may need to pay. The Institute of Export and International Trade estimated that the number of cross border movements of goods classed as exports and imports to and from the UK at the moment is 90 million. Following Brexit – and depending on the nature of the deal agreed – this could rise to 300 million. This will potentially have a double whammy impact on a) the cost of imported goods as part of your supply chain; and b) the cost of sending your finished goods overseas. There are potential new costs involved at the border itself including new duties bought about either by WTO rules or FTA rules as and when they are signed. And there may also be a significant new requirement on your business’ time and resource to complete a larger pile of paperwork to ensure you are complying with the customs requirements and regulations of the markets you are selling to. All these costs – and remember that time is money when it comes to documentation and learning new export procedures – will again impact the overall costs involved in exporting for your business. This again has an impact on your pricing strategy. One of the other factors that already has an impact on where you export to is the different controls, licenses, and product requirements – think packaging, technical requirements like electrical supply voltages, and other things that come with the nature of the goods you are selling. The rules we have for selling into the EU may change following the UK’s exit to the EU, meaning you may need to make new modifications to your product for export that you’ve previously not had to. This will again affect your manufacturing costs when exporting – something you’ll need to make up for in your pricing strategy. 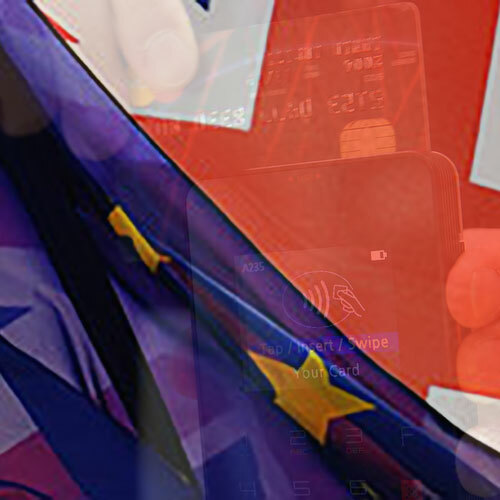 A lot of what’s been mentioned so far is more applicable to goods than to services, but issues like VAT and IP – which currently operate under various EU conventions, agreements and unions – will again be on the table when it comes to the Brexit negotiations. In effect, following Brexit, the VAT you’ll have to pay, or the IP conventions your goods or services are protected under, may be completely different to what they are now. As with many things Brexit, this is a consideration for your pricing which it is difficult to legislate for right now because it is unknown what will happen. What this means is that you will need to have different pricing and output strategies which cater for some of the different potential outcomes of Brexit – something we covered in our Brexit webinar earlier this year. While there is definitely an opportunity presented to UK exporters by the weakening pound, it is one that comes with many caveats. Your pricing strategy will need to cater for both the weakening pound but also the many potential impacts on your manufacturing and exporting costs.